To Niketan it is important to meet the individual needs of each child and to embrace the small steps in its progress. The Niketan children are given the freedom to develop according to their own individual pace. The programme is designed to address all individual challenges of the child. 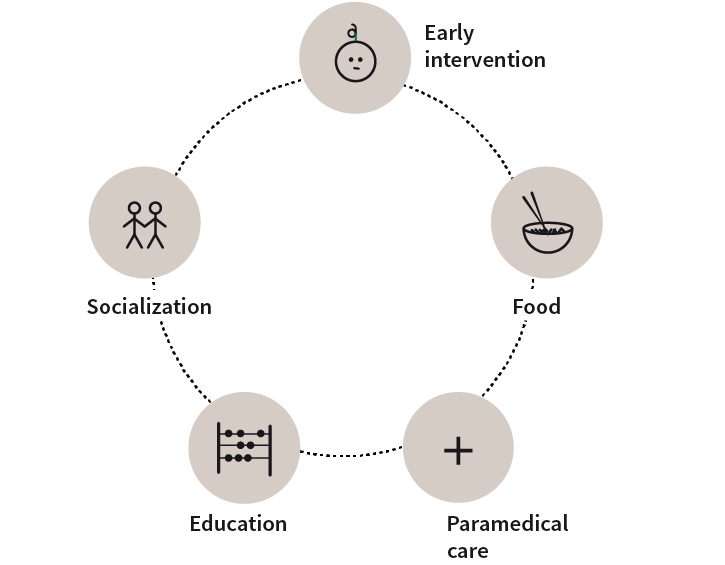 Through early intervention parents can get assistance in understanding the needs of the child while at the same time the child gets a more social interaction with its family. Through a nutritious meal and paramedical care we assure that the children can develop optimally. Through education we help them to boost their skills and build up their personality. When they get older they should not be abandoned. We try to empower them, assure lifelong learning and access to safety net programs.